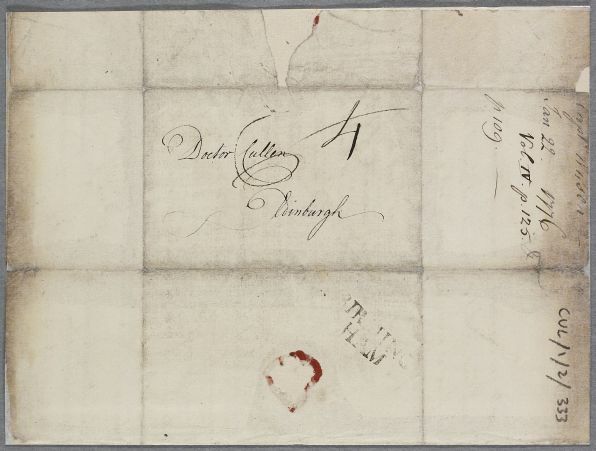 Letter from W. R. Wilson describing his own case, 'which was laid before you by Mr Bruce and to which I have received your very satisfactory Opinion' (see document ID:1232 and Cullen's reply at document ID:378). 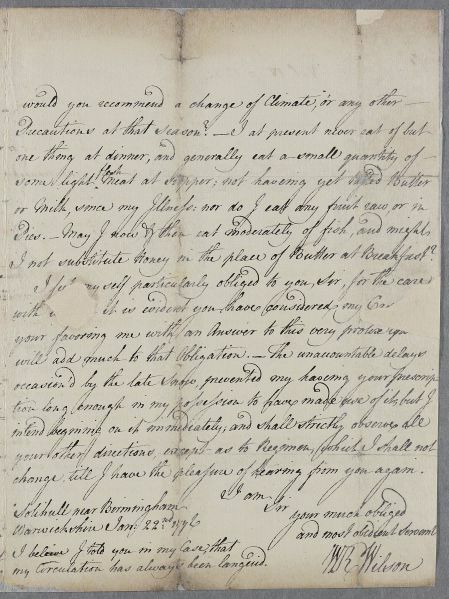 Wilson informs Cullen of a number of circumstances left out of Bruce's earlier report, including his continued weak digestion and asks various questions concerning medicines, bleedings and regimen. 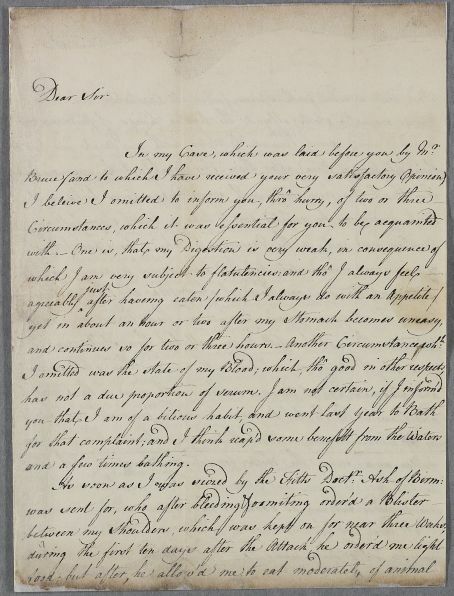 Summary Letter from W. R. Wilson describing his own case, 'which was laid before you by Mr Bruce and to which I have received your very satisfactory Opinion' (see document ID:1232 and Cullen's reply at document ID:378). 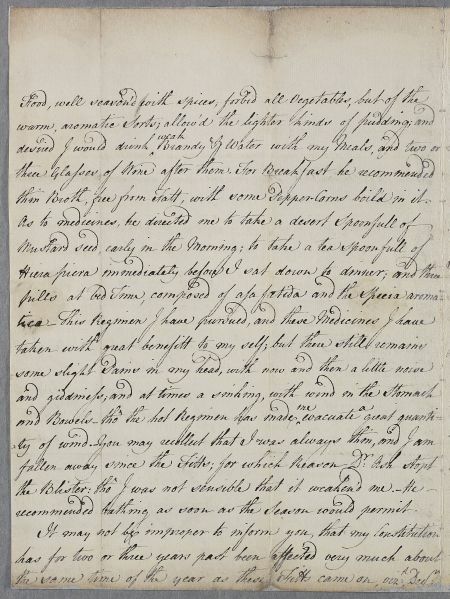 Wilson informs Cullen of a number of circumstances left out of Bruce's earlier report, including his continued weak digestion and asks various questions concerning medicines, bleedings and regimen. Case of Captain W. R. Wilson whose 'seizures' Cullen attributes to 'nervous weakness'. and a few times bathing. thin Broth, free from Fatt, with some Pepper-Corns boil'd in it. recommended bathing as soon as the Season would permit. I not substitute Honey in the place of Butter at Breakfast? change till I have the pleasure of hearing from you again. my Circulation has always been languid. and continues so for two or three hours. – Another Circumstance whh.